Abu Dhabi, 7 February 2019: HE Noura bint Mohammed Al Kaabi, Minister of Culture and Knowledge Development, visited the opening of the 2019 edition of MASmash yesterday (Wednesday). She was among the many visitors to the event, organised by Department of Culture and Tourism – Abu Dhabi (DCT Abu Dhabi) at Manarat Al Saadiyat, where they were able to meet some of the stars of Arabic-language animation as well as the shows' creators. On Wednesday, Sammy Clark presented some of the most famous theme songs from Arab animation shows of the 1980s and 1990s. He also took part in a dialogue session with other stars behind favourite cartoon characters, including Jihad Al Atrashi, the voice actor of the Grandizer character, and Amal Hawaijeh, who performed Captain Majid's voice. The fun-filled event aims to explore the world of animation, its characters and the region's developing video production industry through a series of fascinating workshops, engaging panel discussions and immersive performances. The event also gathered together top animators, photographers, and animation studios from across the Arab world, including creatives from Blink Studio and Cartoon Network, who shared their expertise and delved into the history and future of animation. 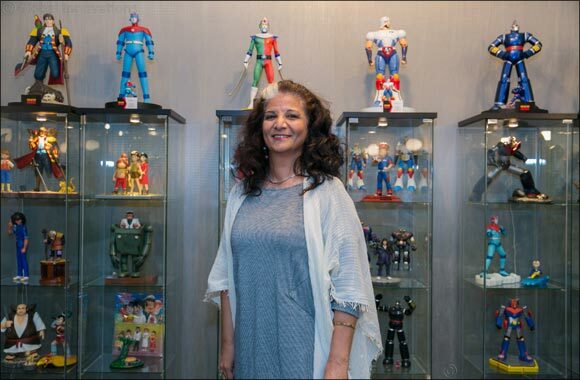 On Thursday, visitors to MASmash will be able to meet Amal Hawaijeh, the voice actor behind Captain Majid, and Falah Hashem who voiced Adnan in the series Adnan Wa Lina. An interactive show followed, featuring songs from the much-loved animated movie Beauty and the Beast. The last day of the event on Friday will focus on the future of animation in the region through a series of interactive panels and shows featuring animators from the UAE. The final day will also include a screening of the much-anticipated animated movie Catsaway, which showcases the UAE's modern animation industry. Tickets cost AED 50 for one-day admission and AED 120 for three days. Entry is free for university students.